View from Mt. 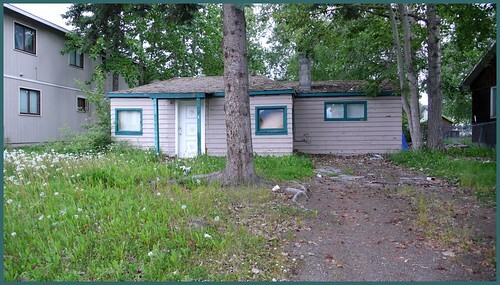 Baldy in Eagle River. 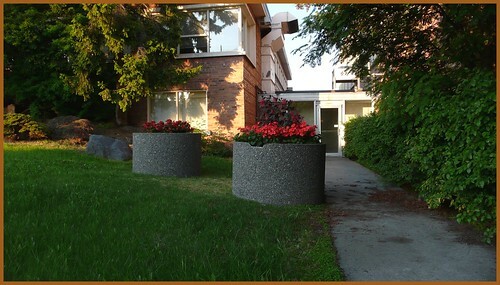 Office building with mature landscaping, Anchorage. 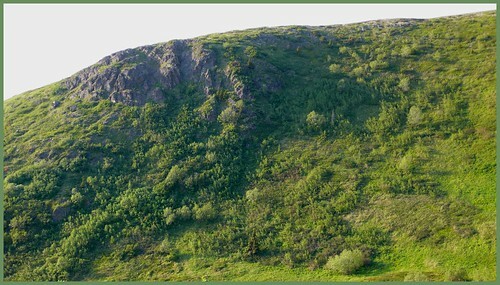 Map of mountain bike trails, Anchorage Hillside. There was an official grand opening today. 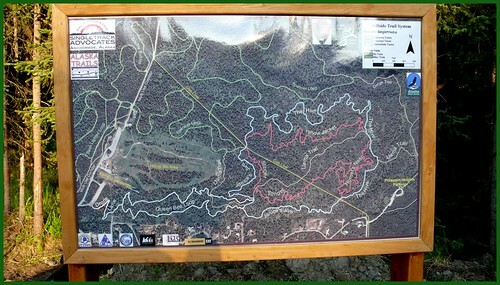 The new trails are professionally designed and are incredible! Banked corners, chutes and roller coasters, the whole deal. You have to go!! Singletrack Advocates were the prime movers on getting the trails built. 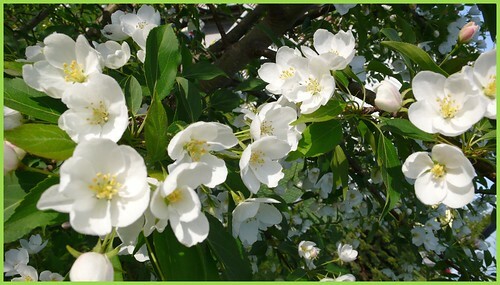 Apple blossoms in my back yard. 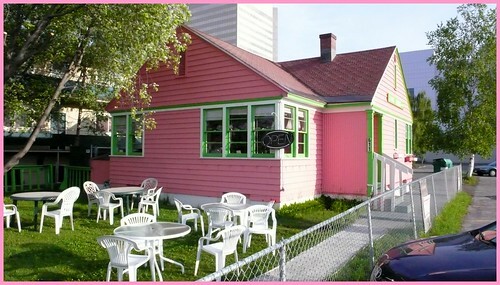 9th Ave. Gumbo House, Anchorage.